FINDING ZASHA is the story of twelve year old Ivan, who is trapped in the siege of Leningrad in 1941. To survive, he must escape across a frozen lake, find a new home, and join the fight for his country. There is no way for him to prepare for what happens when the Germans occupy his town, and he meets Nazi Commander Axel Recht and his German shepherd puppies, Zasha and Thor. Ivan is committed to saving them from their awful fate. But will he ever be safe from the man who has sworn revenge against him? This book is the prequel to SAVING ZASHA; it is the story that came before it. Rich in history, and full of adventure, FINDING ZASHA shows the power of courage and good people in terrible times. 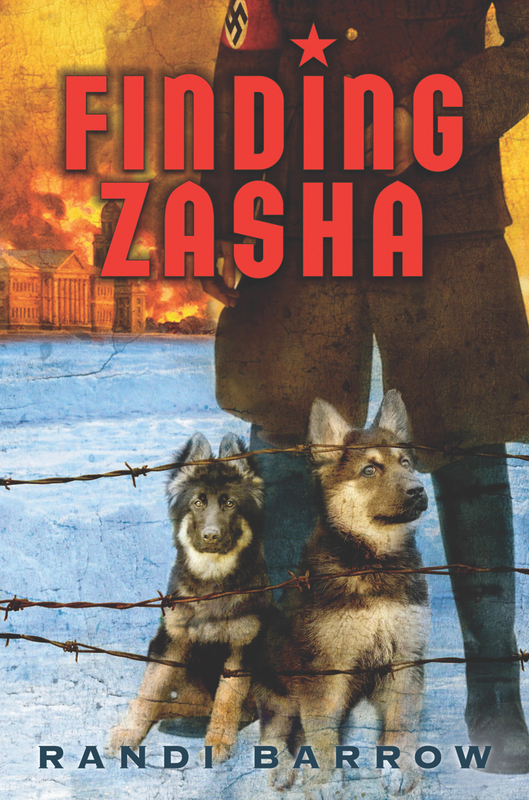 SAVING ZASHA is the story of a boy named Mikhail, his family, and Zasha, the German shepherd he finds on their farm in Russia. World War II has just ended, and although Germany was defeated there is still anger and hatred toward all things German – including German shepherds. As Mikhail works to save Zasha’s life he struggles with some of life’s hardest lessons about war, hate, forgiveness, love, and man’s best friend.